In a world where “print is dead” visitors guides across the tourism industry seem to be doing just fine. The demand remains high for the information offered, as visitors try to work out what attractions to see, where to grab a bite, and the best assets offered in a particular destination. It’s clear that this tourism marketing tool is here to stay. But while the medium hasn’t changed, the way visitors process and absorb information has. Guides are competing with online content which is easily accessible on a mobile phone or device. And they need to work in different ways for visitors as they plan and embark on their vacations. 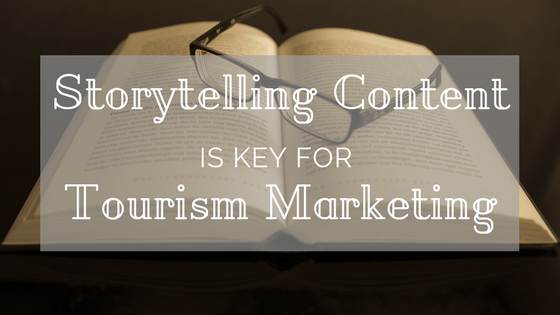 Travelers demand more creative content and in-depth storytelling – moving beyond just listings to tell deeper, more compelling stories. I’ve seen other travel guides begin to follow this trend. We experienced the shift directly as our team worked on a new guide this year for the Haunted History Trail of New York State. In its fifth year as an official tourism trail, the Haunted History Trail faced challenges as visitors tried to figure out how to follow the trail. Do they hit every stop in order? Follow a region? Pick a single stop or two? Hours and location offerings changed based on seasonality- another challenge to contend with. Past guides were trying to be everything to everyone. While they managed to offer relevant information, we were simultaneously falling short on telling the story. And that was the key right there – storytelling. This trail was a series of listings, a collection of stops – but the guide didn’t support the story that New York is a full-on haunted destination. When a visitor travels to Hawaii, they are immersed in a culture of pineapples, Mai Tais, leis, and an alphabet consisting of mostly vowels. Storytelling would allow us to build a picture in the visitor’s mind and better immerse visitors in the stories of the trail. As visitors become inundated with content, they don’t want to be sold to. They are looking to instead learn, discover, and immerse themselves in a new narrative. Visitors guides are a destination’s opportunity to write their story, their way. To seek out the most compelling new angles that make consumers want to visit and to give people the inside scoop. To be able to tell the stories you wish the media was writing. Not every guide calls for an in-depth approach, so don’t ditch the listing style completely. There is still a time and a place for that type of content – and space for that in the market. Listings are a great tool for a mini guide or niche offering. Take the Finger Lakes “50 Top Attractions” Guide. A roundup of the 9,000 square mile destination could easily take up 40 or 50 pages of space – far too much content for a visitor to dive into. But with a narrowed focus and a catchy title, this type of guide hits all of the highlights for a visitor already planning a trip to the region. In the end, content needs to be about the visitor. We moved away from a listing style for the Haunted History Trail guide, but were careful not to lose the factual information that made the guide a true resource. While working with a travel magazine style, we still geo-plotted each location on an inside cover map, and listed every location with their contact info in a rear index. The end game is to drive visitors to your destination, yes. But the key is to first compel them to learn your story, explore deeper into your destination, and provide a resource that can be used through the entire travel experience. Consider your content and your story, and your next guide will do just that.